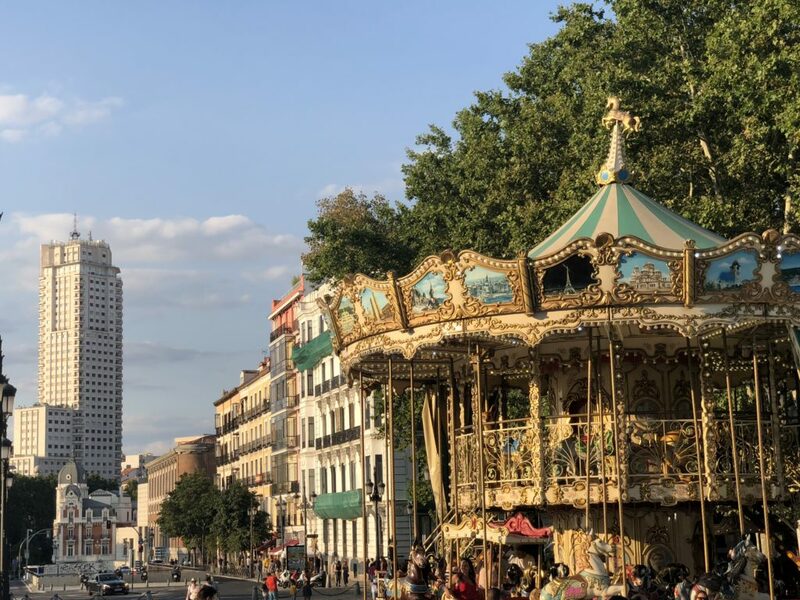 Our first stop is in central Madrid, where I’ve been heading out with friends to eat, drink and generally be merry. 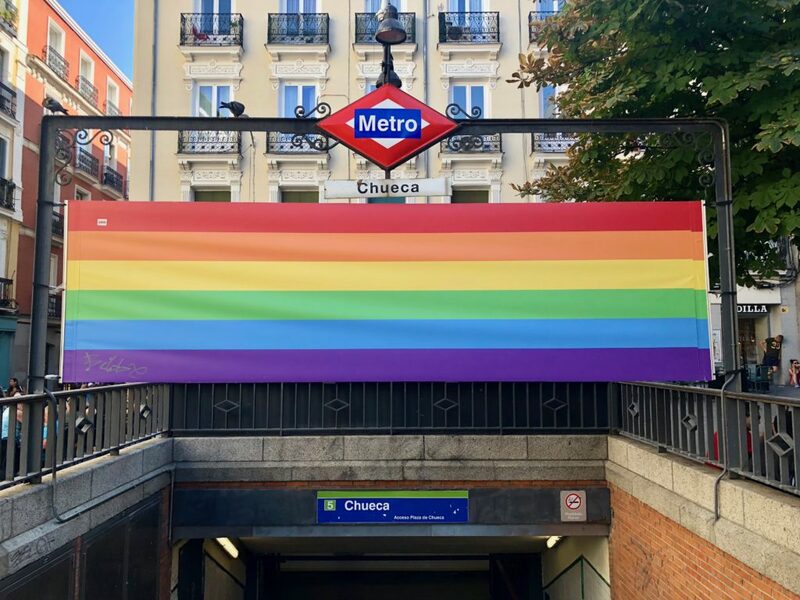 With the height of summer basking us in it’s sometimes oppressive heat, there’s been plenty going on, and the city is still looking its brightest (and gayest) best! 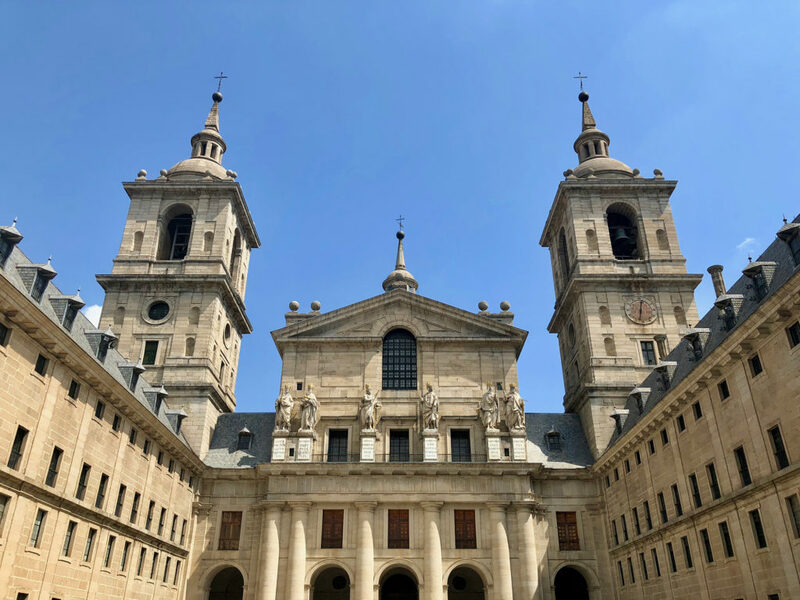 At some other point two of us also escaped the city centre, heading to El Escorial. Last time I visited was back in rather chilly March, and I’d missed the chance to check out the chapel within the monastery, so this time we struggled up the hill in the heat and headed inside. Unfortunately I wasn’t allowed to take photos inside the chapel, but it was suitably impressive. I didn’t take many more photos whilst there, because I felt I’d already taken plenty last time (check them out here), but I did once again pay a trip to a lovely mother and daughter who ran a little bar up in the town. 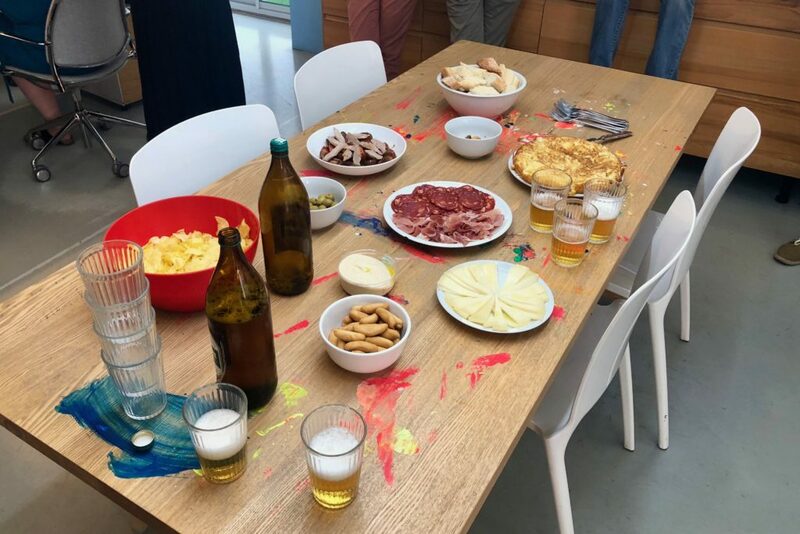 Here we were treated to fresh tortilla (Spanish omelette), beers and a selection of samples of their delicious homemade food until it was flowing out of our ears! 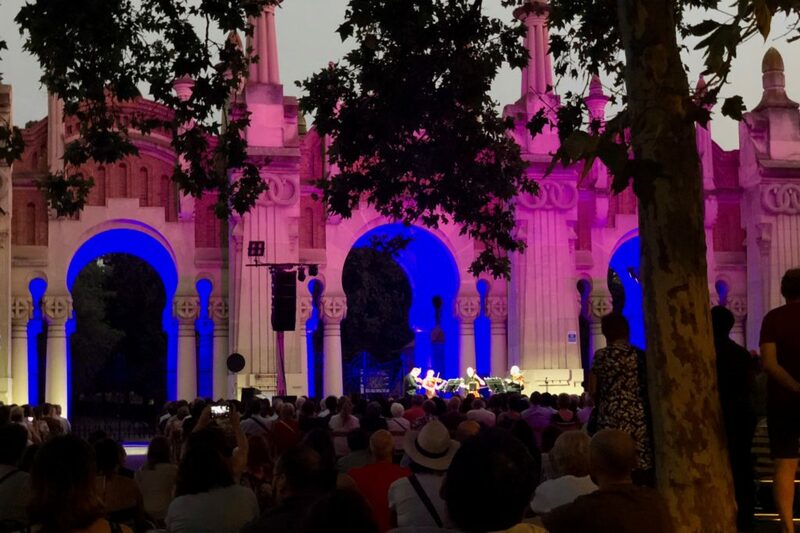 Once back in Madrid for the start of last week, I have to admit that the most exciting thing I had lined up was the start of Bake Off once again. 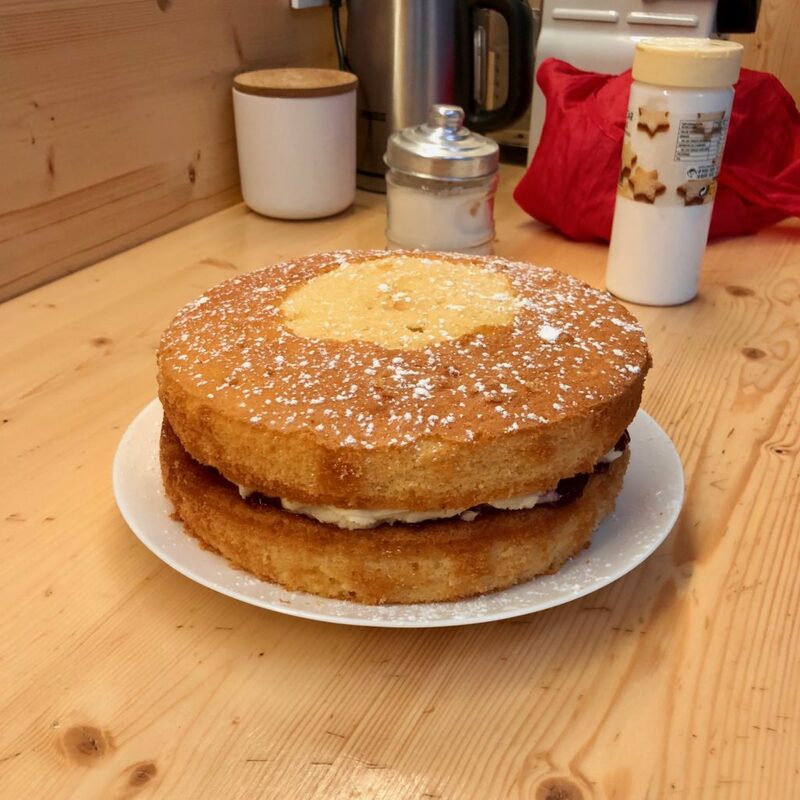 On Tuesday afternoon I arrived back home from work, cooked a celebratory Victoria Sponge (what else? ), and found myself a stream of Channel 4 to enjoy the culinary drama. I took the cake to work the next day to share amongst the team, and it went down a treat. Just the day after we shared the cake at the office, I was treated to yet another fleeting visit from Kevin, who was down in Madrid to sort out some paperwork before he eventually jets off to the US to begin his job later in September. 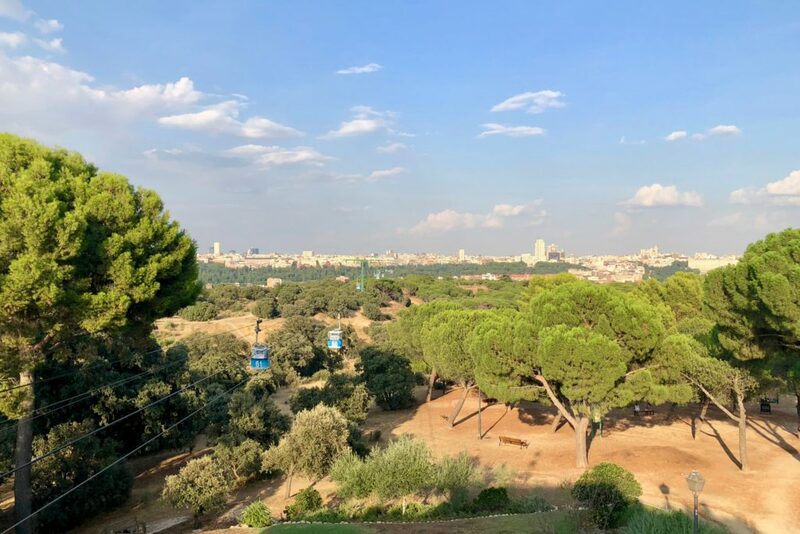 Naturally I had a plan for him to make the very most of his mere 36 hours here, and we set off in earnest to check out Casa de Campo from the Teleférico. After this we made a customary stop at Dealz (PoundLand, including plenty of British products) for Kevin to pick up some HP Sauce, as he’d developed an affection for the vinegary condiment whilst he was with me in Leeds on Erasmus. From here, and partly due to ongoing construction work on Metro line 2, we walked all the way back to my flat, stopping for delicious bao and a cheeky evening tipple along the way. 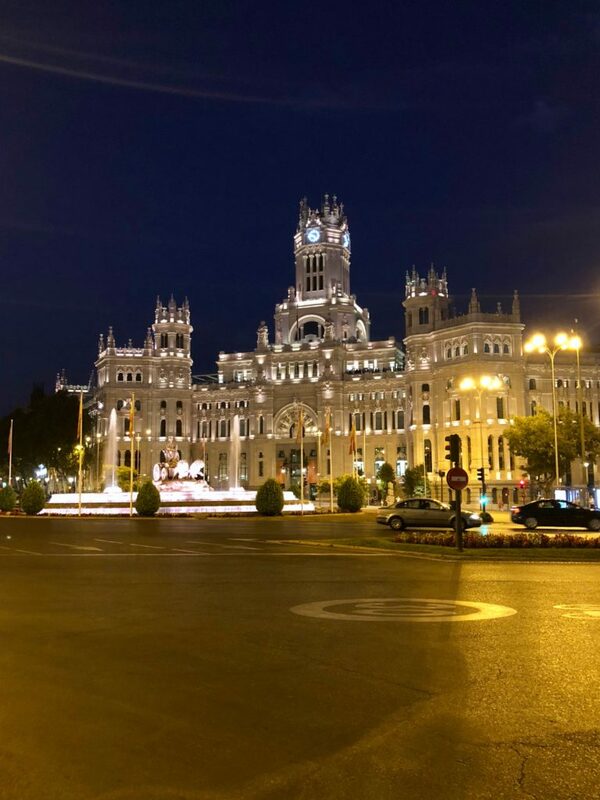 Wandering past Cibeles at night always reminds me of my first ever visit to Madrid. The following evening I had to wave a rushed (because we couldn’t find the bus stop) goodbye to Kevin as he boarded a bus back to Oviedo, but not before I’d filled myself up on an impromptu aperitivo at the office – even if it did turn from an aperitif into more of a fully fledged lunch! 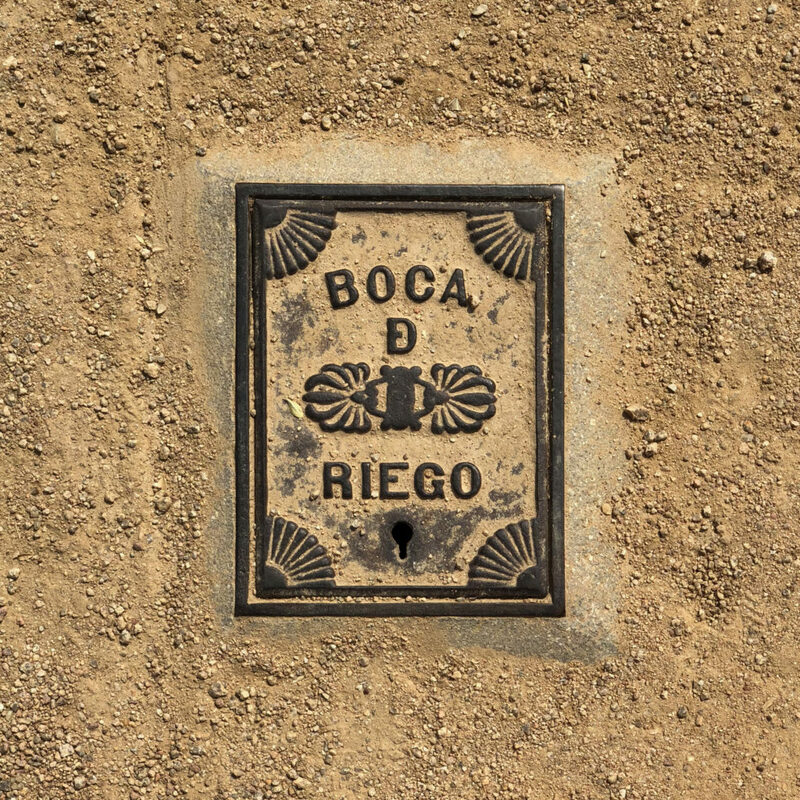 After waving Kevin off, I met up with another friend to check out an event he’d invited me along to; a traditional violin quartet concert at the gates of one of the city’s biggest cemeteries. Upon arrival it wasn’t really what I was expecting, with a much more jovial atmosphere, and the archways of the closed cemetery all lit up against the night sky. We enjoyed a lovely evening of music there, and then we headed out for a drink and dinner at a little Galician restaurant near my flat. The day after, which will be just yesterday now I come to think about it, I headed off by myself into the city for a bit of time alone – anyone who knows me will know I value my time by myself. 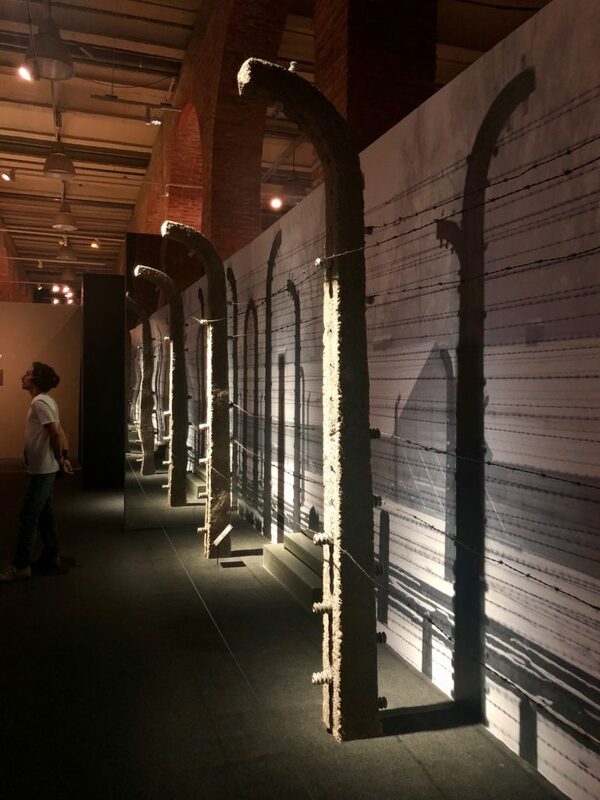 I’d decided I wanted to go and visit an exhibition at Centro de Exposiciones Arte Canal which focuses on the tragedy which was Auschwitz, as I’d been interested in finding out more after watching a documentary about it a few years ago. Before I even entered the exhibition centre itself, I found myself before one of the train wagons which was used to transport people to the camp. At this moment I knew that it wasn’t going to be an afternoon of easy viewing, as I found myself rather upset as I read the sign which said that each wagon was usually crammed with 100 people. I thought I knew quite well of the horrors which unfolded at Auschwitz, but I had never considered the suffering at each and every stage of the journey to, in, and even in some cases out of the camp. I could reflect further on the nightmare that Auschwitz was, but I hope that most of you are quite clued up on exactly what happened there. 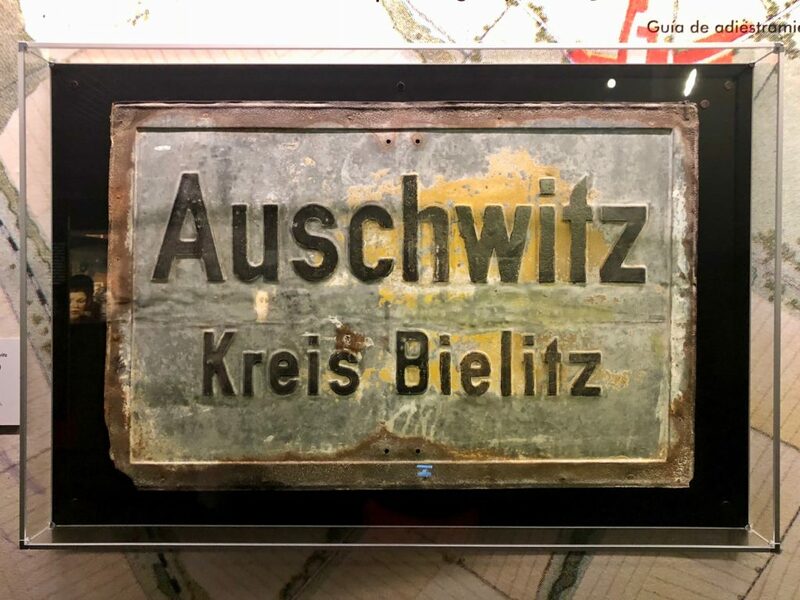 I found that the exhibition was not only a very well considered and respectful presentation of the Second World War and what transpired at Auschwitz, but it also carried a very important message – of not forgetting what happened so that it may never happen again. 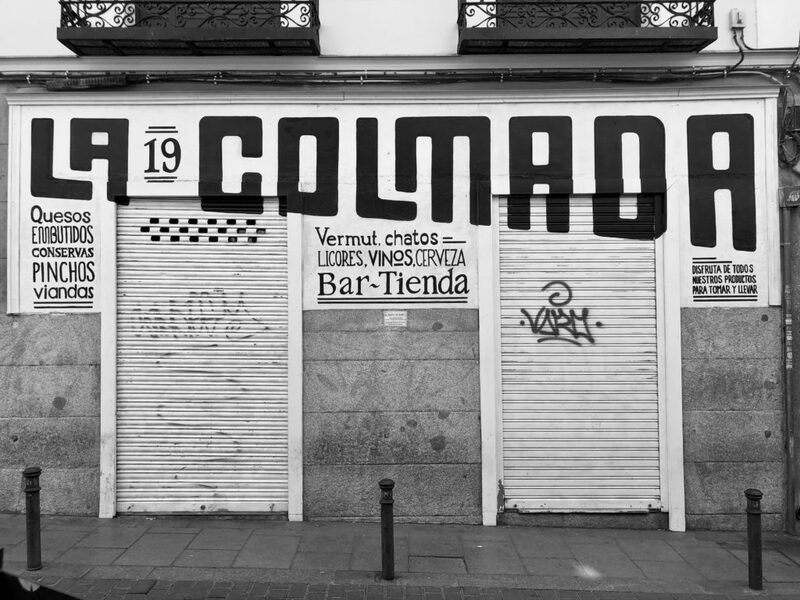 If you live in Madrid or are simply passing through, I highly recommend that you give the exhibition a visit. 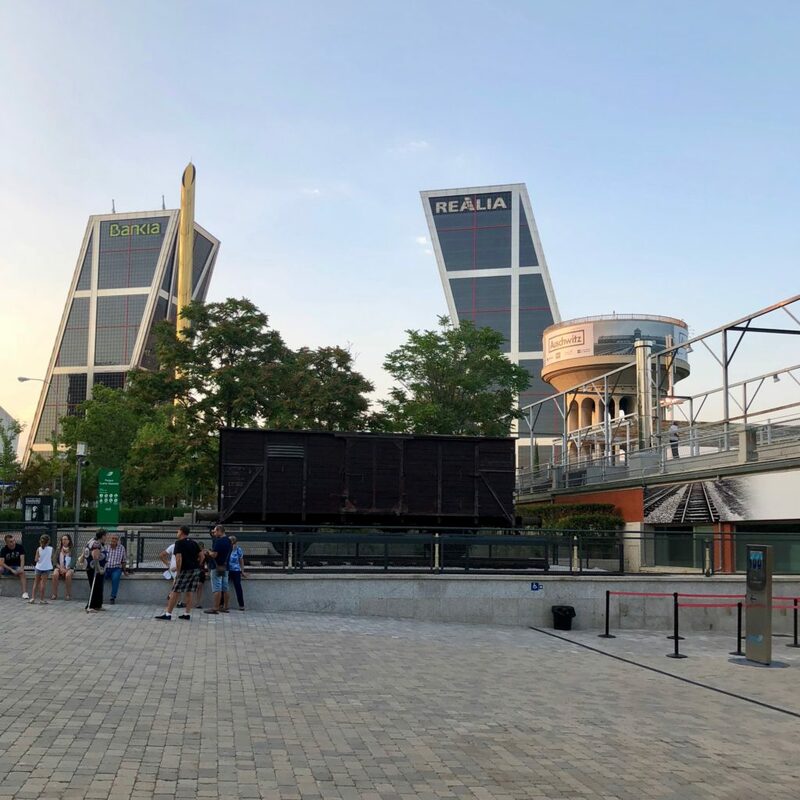 The tickets may seem quite expensive, but I found that the 12,50€ I paid including an audioguide was more than worth it, as I spent more than four hours traversing the exhibits. More details on the website here.